The Wall DVD and Blu-ray release date was set for August 15, 2017 and available on Digital HD from Amazon Video and iTunes on August 1, 2017. Two American soldiers are patrolling in the Iraqi desert when they are fired upon by a sniper. The only cover they can find is a small, unstable wall. They shelter behind it, still taking fire from the enemy sniper, trying to pinpoint him, but he is too well concealed. 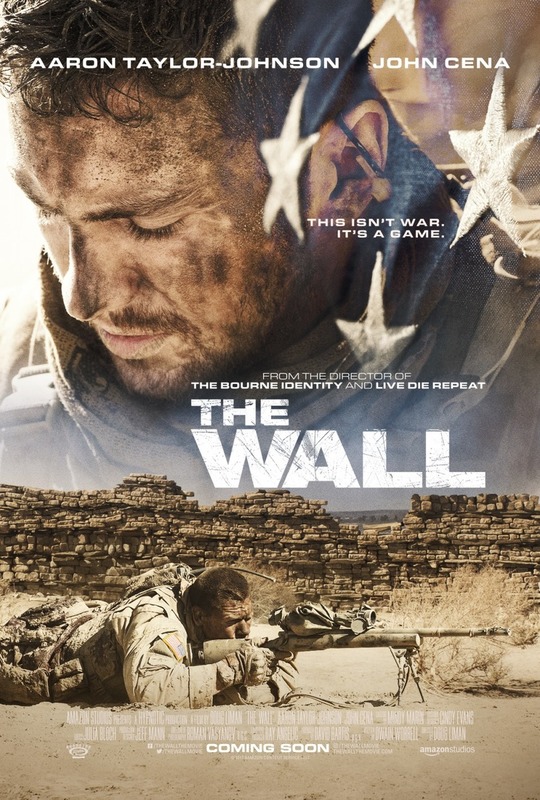 Trapped with no help for miles, the two soldiers must try and figure out how they will survive this ordeal, and whether or not the wall will hold.